If you have a Napa septic tank attached to your home, you need to maintain it properly to avoid repairs and major issues that cost a lot of money. The longer you maintain the septic tank well, the longer it’ll last. In order to avoid problems and high repair costs, learn about the mistakes others have made and avoid them yourself. Anything other than waste and toilet paper should not go down the toilet’s drain—especially if you have a septic tank. It might seem that baby wipes or flushing wipes would be okay, but they can actually lead to a lot of issues since they don’t break down. Anything that isn’t toilet paper is not okay. If you have a large family, laundry is constant. But each load uses a lot of water and if you do several loads back to back, you put undue stress on your septic tank. Spread the laundry out instead and only do one load at a time and then wait between loads to avoid problems. 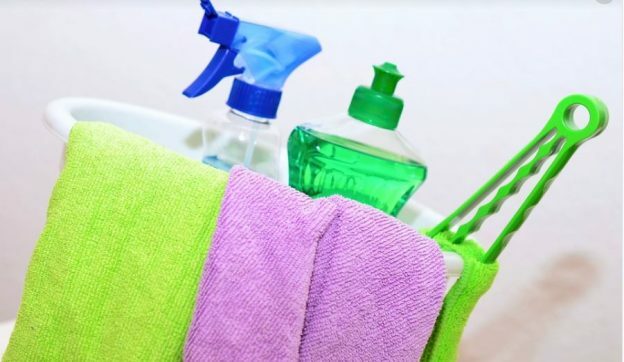 There are a lot of chemicals that say they get rid of clogs or break up solids to help drains, but they can also affect the bacteria in the system. If you use anti-bacterial soap or cleaners, that can have the same affect. Bacteria is a good thing in your septic tank as it breaks down solids. Chemicals can do more harm than good within the tank so just get regular maintenance on the system and use natural cleaners instead. Pumping the septic tank only when there is a problem can cause it to decrease its lifespan. You should have your septic tank pumped every 3-5 years, depending on how large it is and how often you use it. The more often you pump it, the better it will generally perform. Getting regular maintenance helps you avoid clogs and more costly issues. The septic tank is mostly drains and the tank, but the drain field is important to note as well. If there is too much water in the drainage area, the tank can’t drain. When there is nowhere for the waste to go, the tank will get full quickly and have to be pumped out. Maintain the drain field well and you won’t have that problem. If you want more advice on septic tanks in Napa, or you need your pumped or maintained in any way, contact the experts at American Sanitation Inc. by calling (707) 554-8258. We might be able to answer many of your questions over the phone, or we can come to your home, take a look, and figure out what’s going on in person. Stop by and meet with us at 1729 Action Avenue, Napa, CA 94559 to learn more about your septic tank. This entry was posted in Septic Tanks on February 25, 2019 by superowner. If you need to rent portable toilets in Fairfield for any reason, there are plenty of options to consider. But you will want to ask a series of questions if you don’t have experience with this type of rental. First, you will want to find a reliable supplier in your area and then, ask them the right questions so you know you will get just what you need for your situation. Here are some questions to ask before you move forward with the rental process. How Many Portable Toilets Do You Recommend? You will have to describe your event including how many people you expect, how large the space it, and whether or not you will be serving any food or drinks. From that information the company should be able to tell you how many portable toilets you need. They might also have ideas as to where you could place them based on the details you give them. How Much With The Services Cost? Once you know how many portable toilets you need, and for how long, you’ll be able to choose between services based on what your other needs are. If you just need portable toilets for an event one day, you won’t need anything but a drop off and pick up service. 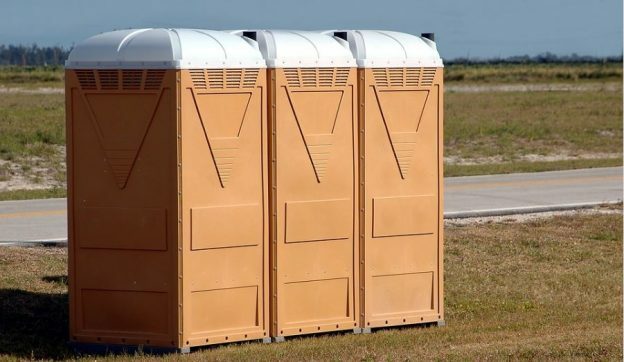 If the portable toilets will be in place for a month, the company can come out and service the units as needed to keep things operational and sanitary. How Often Will Portable Toilets Be Checked? Portable toilets can be just delivered and picked up by the provider if the event is short enough. But they can also be cleaned if they will be there longer. You may want to know how often the tanks will be emptied so you can ensure the toilets are sanitary and appear nice for your guests. It’s nice to know this information upfront so you aren’t surprised later. What Options Do You Carry? Depending on the provider you are working with, there are a variety of options on the market. The standard portable toilets are what most people picture, but you can also get hand washing stations to place outside, fully flushable portable toilets, handicap accessible units, and more. If you have specific needs, state them and the provider can recommend which units are best for you. Not everyone is used to renting portable toilets in Fairfield so it’s good to have a list of questions ready when you speak with the provider, so you don’t jump on an opportunity that doesn’t end up being the right fit for you later. When you’re ready with these questions and any others you have in mind, contact American Sanitation Inc. at (707) 554-8258. We’re here to make sure your needs are met, whatever those may be. We can give you our professional advice, help you decide on locations for the units, and estimate how many you will need. Stop by and take a look at options and examples at 1729 Action Avenue, Napa, CA 94559. This entry was posted in Portable Toilets on February 18, 2019 by superowner. When you rent Portable Toilets in Vallejo for a day or two, they don’t usually take that much work, but if you are going to have the portable toilet on-site for longer, you will want to know how to keep them clean. First, it is a good idea to hire a portable toilet company that takes care of maintenance for you. However, you might want to check in on the toilets from time to time yourself to ensure they have everything you need for whatever your situation is. 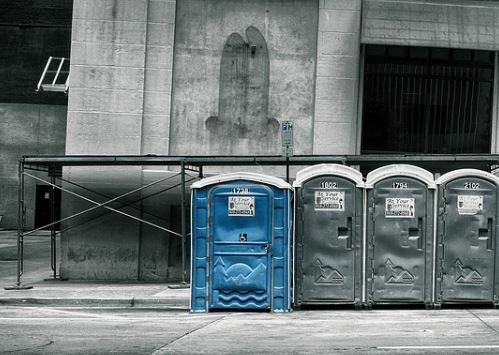 Here are a few things to watch for or do when you have portable toilets on location. Cleaning tablets can come in handy in any public restroom and they work especially well in portable toilets. Between service times, you can drop a cleaning tablet into the portable toilet and prevent germs and odors. It doesn’t take more than a few seconds of your time and it can make a big difference. Ask your portable toilet company is there is a certain kind they recommend. Portable toilets need to be well stocked at all times so they have hand sanitizer, toilet paper, and anything else they need. Even if the toilet company runs maintenance checks, you will want to check them when the location is busy to make sure the portable toilets don’t run out of the necessities. Things can get toasty in California and you want your portable toilets to be as fresh as possible. When there aren’t people around using them, open the door and let the fresh air do its work. If the portable toilet is on location for an extended time, airing it out between usages can really help things stay neutralized inside. You will want to keep the portable toilets as clean as possible, even when they are in heavy use. When you’re in a rush, clean the places that are used the most, like the door handles, the toilet paper holders, and the hand sanitizer dispensers. Cleaning those touch points by wiping them down with a cleanser can help keep things as sanitary as possible. You can leave the heavy cleaning up to the experts when they run maintenance on the units. Keeping Vallejo portable toilets clean isn’t a job that has to take a lot of your time. When you work with a company like American Sanitation Inc, our professionals will do the heavy lifting for you. But if the portable toilets are on location for a long period of time, you’ll want to keep an eye on things yourself as well. Give us a call at (707) 554-8258 and we’ll offer you some advice, possible schedules, and other tips to make things as simple as possible. You can stop by and see the variety of portable toilets we have at 1729 Action Avenue, Napa, CA 94559 so you can choose just whst you need for your situation. We look forward to helping you out. This entry was posted in Portable Toilets on February 11, 2019 by superowner. Does Your Event Call For A Flushing Portable Toilet? While most portable toilets are fully stocked with hand sanitizer, or can be equipped with nearby outdoor sinks for handwashing, having a flushing portable toilet keeps things even more sanitary. The toilets come with a hands-free flushing system so no one has to touch anything while they are inside. Plus, you can get the portable toilet options that come with fresh water sinks as well so hand washing can take over sanitizing. Washing with soap and water is always the better option to hand sanitizers. People use more water flushing the toilet than most other daily activities. 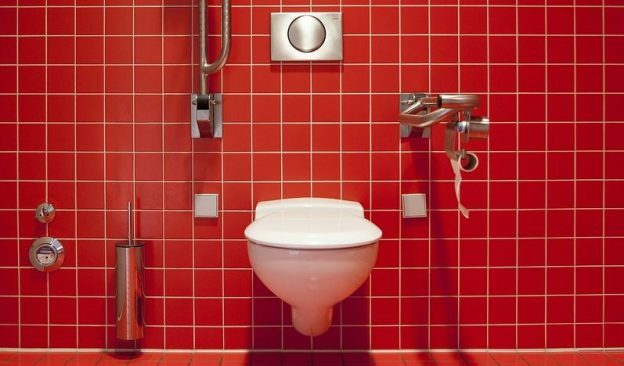 Depending on the toilet, one flush can take anywhere from 3 to 7 gallons of water. Even if you have an indoor bathroom available, having flushable toilets outside can cut back on the amount of water you use. It gives guests more options and greener choices. Portable toilet can get stinky after hours in the hot sun and many uses, but flushing portable toilets are actively deodorized to neutralize bacteria and rid of any possible smells. When the waste it kept away from the openings in the stall, it makes sense that things would smell much better. There are always going to be some people who don’t like the idea of a portable toilet. But flushing options are different. They’re comfortable and feel just like an indoor bathroom. Guests can relax and feel comfortable using the facilities you’ve provided without question. If you have need for Portable Toilets in Santa Rosa, there are plenty of options for you to choose from. Whether you want something more standard, or a flushing portable toilet, the experts at American Sanitation Inc can help. Give us a call at (707) 554-8258 and we’ll go over the choices with you. Whether you need just one or a bunch of portable toilets, we’ll take care of delivery and pick up and we’ll help you figure out just the right location for set up. You can visit with us in person and see examples at 1729 Action Avenue, Napa, CA 94559. We want your event or occasion to go off without a hitch and that means thinking ahead about things like portable toilets. This entry was posted in Portable Toilets on February 4, 2019 by superowner.